Anybody who has traveled by ferry to the San Juan Islands is familiar with this type of announcement over the ferry’s loudspeaker: “Would the owner of a white Volvo station wagon please report to the car deck.” It’s usually followed by the owner’s walk of shame down the ferry’s stairs, which is followed by their sheepish departure from the ferry after moving the vehicle that had been impeding the departure of other passengers. It typically doesn’t lead to somebody immediately deciding to move to Lopez Island. 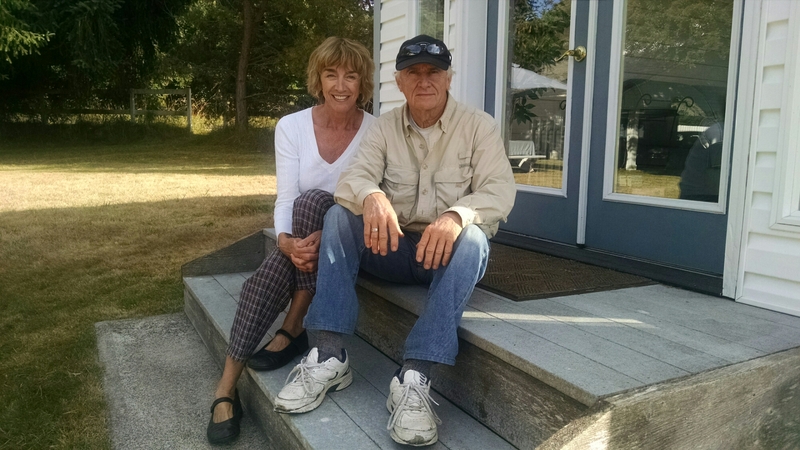 In 1978, that’s exactly what it led to for Mike and Robin Bergstrom, who have now owned the MacKaye Harbor Inn Bed and Breakfast on Lopez Island’s South End for 30 years. 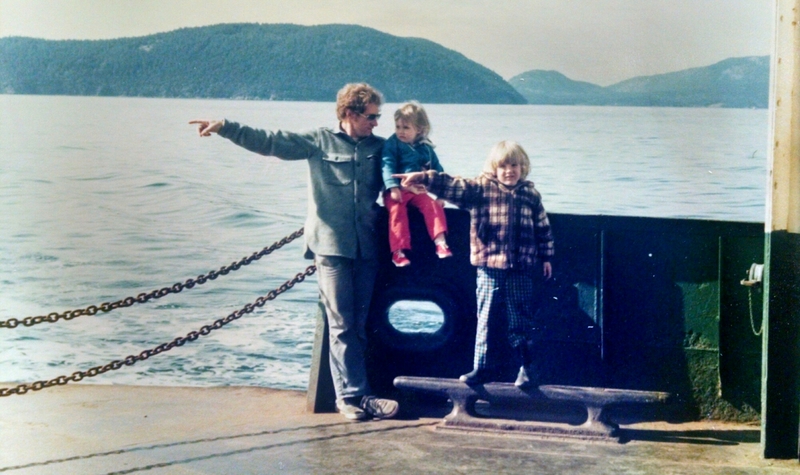 Mike, Ingrid and Matt Bergstrom on the ferry in 1978. 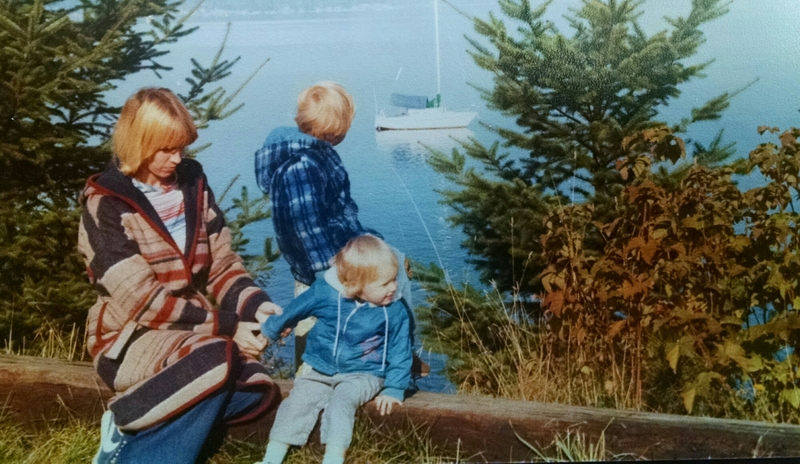 Mike and Robin had been visiting Orcas Island from Corvallis, Oregon in search of a new place to live – wanting a quieter, safer place for their family to call home. The couple’s trip to Orcas was not going as planned. Their child was bitten by a dog. Their camera was stolen. And the realtor showed them some pretty horrible houses. Mike and Robin boarded the ferry back to Anacortes sure they’d made a mistake about the San Juans. The Bergstroms were enjoying their Ivar’s seafood on the top deck (yes, WA State Ferries used to serve better food) when they heard the fateful announcement over the loudspeaker. Somehow they’d ended up in the line of cars headed to Lopez, and they were instructed to pull their car off the ferry – at least temporarily – so other cars could get off. Instead of pulling right back on and continuing to Anacortes, Mike and Robin decided to check out this quiet little island (population 800 in 1978) that seemed to be full of trees and not much else. 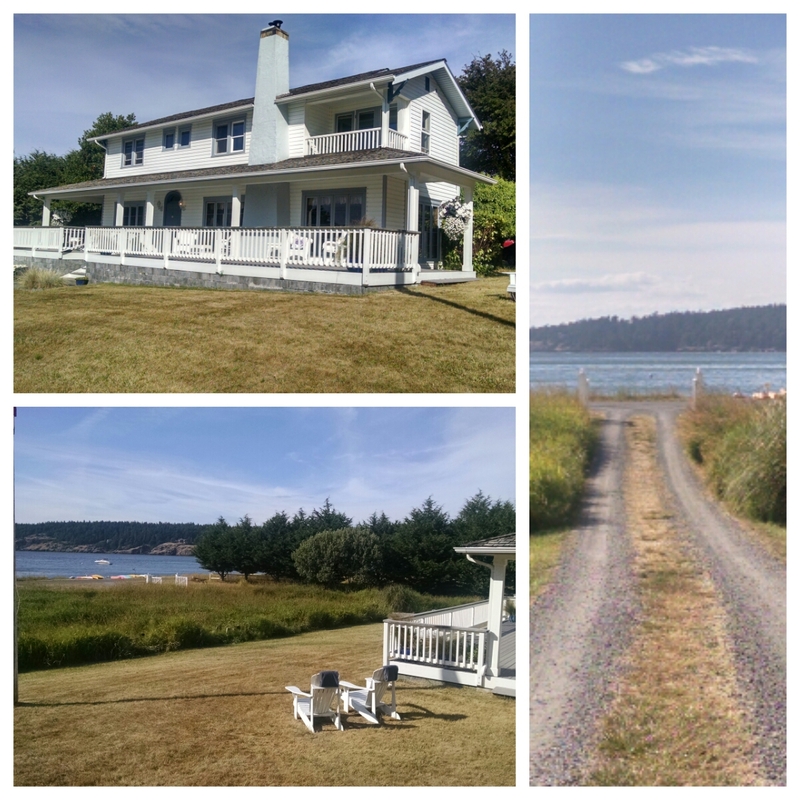 Three hours later they’d put an offer on a little house on Aleck Bay and decided to move their family to Lopez Island. I was not expecting to hear this story when I walked into the front room of the MacKaye Harbor Inn the other day. I also wasn’t expecting to be immediately served a plate of birthday cake (not mine) by Robin, who had agreed to educate me about this little inn facing the picturesque harbor dotted by sailboats and kayaks on the South End of Lopez. Robin, a serious baker, had just baked a delicious chocolate birthday cake for Sandy, one of the inn’s guests; and I walked in at just the right moment. It’s a good thing I bike to all my Project 468 interviews. During their first year on Lopez, the Bergstroms had 300 nights of company – not exactly the peace and quiet they’d been looking for. They therefore decided to move out of their Aleck Bay cabin and onto a boat with their two children, Matt and Ingrid, whom they home-schooled for a few years while traveling around the Salish Sea. Robin started baking every morning. Mike got restless. So, in 1985, he and Robin decided to buy the MacKaye Harbor Inn, guaranteeing at least 300 nights of company per year. The MacKaye Harbor Inn was originally built to be a farmhouse by the Tralnes family in 1927 – back when the South End was the center of Lopez Island’s population and activity. It changed hands over the years, at one point owned by the Denny family of Seattle. Before the Bergstroms turned it into a bed and breakfast, the MacKaye Harbor Inn was a restaurant and tavern, with many a salty seadog as patron. Robin remembers having dinner there one evening in the early 8Os – before buying the place – and witnessing one of those intoxicated patrons falling from the tavern’s balcony above. That balcony is now the inn’s Harbor Suite. Robin tells me nobody has fallen from that balcony in the 30 years they’ve been owners. There aren’t too many people in the San Juans who have owned an inn as long as Mike and Robin. It’s hard work that eventually leads to owner burn out. Why haven’t the Bergstroms burned out after 30 years? “It’s certainly not due to making lots of money,” answered Robin when I posed that question. “We do it because we love sharing this way of life,” she explained. Their approach, as Mike describes it, is to “be the guest” – constantly thinking about how they’d like to experience Lopez and then trying to deliver that experience to the people who stay at the inn. Presumably that’s why I walked into a birthday cake situation during my visit. Mike and Robin are constantly on the lookout for other ways to make their guests feel special – such as delivering bottles of wine to people’s rooms when they’re there for a wedding anniversary. Or, lending out their truck to somebody who arrived by boat and needed to get into Lopez Village. Be the guest. This approach has probably led to the fact that more than 25% of MacKaye Harbor Inn’s guests are return customers – including the Tralnes family, who stay at the inn when they visit the island. It’s an approach that is 100% Lopez. The payoff usually isn’t monetary. The reward, at least for the Bergstroms, is continuing to be part of the Lopez community, surrounded by beautiful country and beautiful people. Mike and Robin shared with me a newspaper article from the Corvallis Gazette-Times, which published an article on the family’s move to the San Juans in 1978. It was interesting to read the story of their move 37 years ago. The rationale for moving that Mike gave back then is very similar to what I still hear from people who have just moved to Lopez. In that article, Mike is quoted saying, “I believe if one works long hours each day you never seem to have the time to grow mentally and spiritually and I still have much to learn in those two areas” – referring to the type of life he and his family left behind for Lopez. 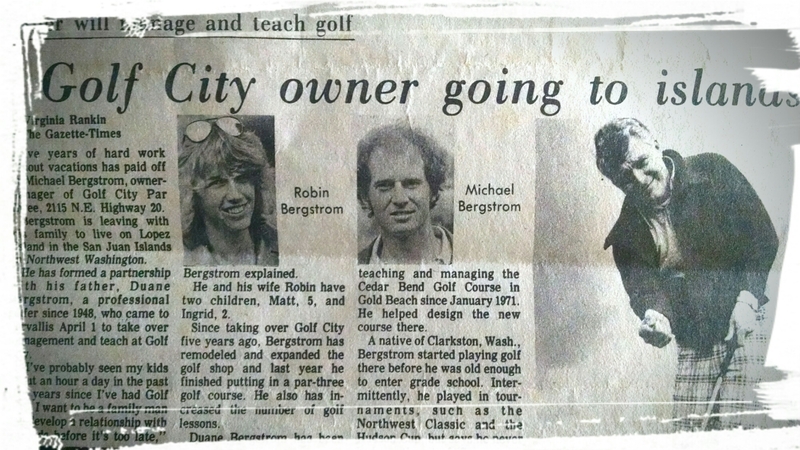 Over the past 37 years, I think the Bergstroms have gotten to know themselves pretty well. Whether you’re a Lopezian or just visiting the island, I recommend you get to know them, too. Be their guest, and check out the MacKaye Harbor Inn on your next visit to the South End.